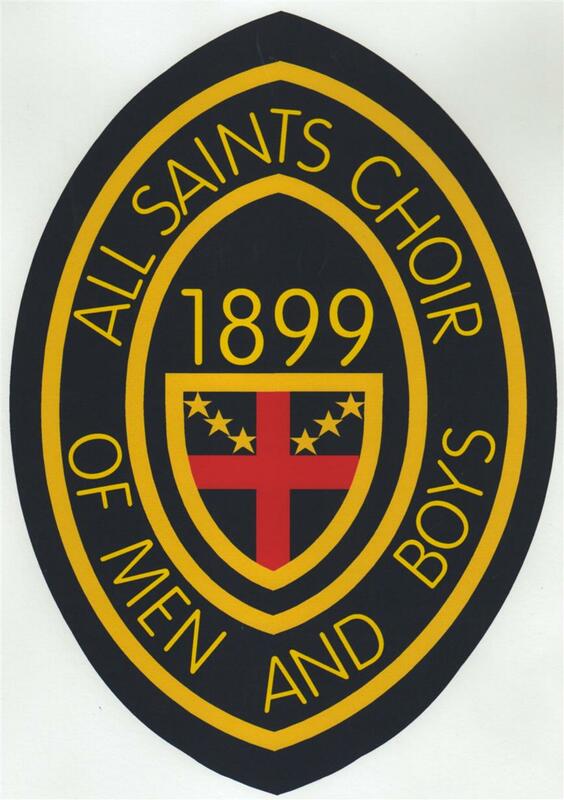 Founded in 1899, the All Saints Choir of Men and Boys is one of only a few parish-based choirs of its type in the Episcopal Church in the United States. The choir continues not only a great tradition of choral singing, but also the distinctive sound of the great English and European boy choirs—a sound dating back centuries. The choir tours regionally annually and occasionally further - most recently to Austria in 2013. Through work with the choir, boys learn about music, teamwork, social skills, and more. They come to the choir as boys and leave as young men. The choir is open to boys from grades 2 - 8; teen men from grades 9-12 and skilled adult men. One needs not be a member of All Saints Church to participate. The choir sings twice a month; rehearsing on Sundays (when they sing), Tuesdays, and Thursdays. Any choir is a team - as each singer brings their strengths to the group. We believe that this is best done with boys & men - a unique experience offered only by the All Saints Choir of Men & Boys, as the only choir of its type in the state of Virginia. Older boys mentor can mentor younger boys, and younger boys can push the older boys to become leaders. The men of the choir offer guidance, direction, and support for even the youngest boy. As we've said before - they enter the choir as boys and leave as young men. What would a choir be without music? At All Saints, we train the boys to use their voices, learn about music, different composers and musical genres. Our Chorister Training Program teaches boys the rudiments of music theory and sight-singing. Singing at All Saints Church is pretty special in itself, but trips to sing in the great cathedrals and churches of the world are what sets the Choir of Men & Boys apart from other choirs. The Choir of Men & Boys has made regular trips to Europe, most recently to England and Austria. It has sung at the Washington National Cathedral, and Bruton Parish Church, Williamsburg. Our trips also include some fun events - such a singing the National Anthem to begin a University of Richmond basketball game! Many boys in the choir begin in 2nd or 3rd grade, and sing through their high school years. The Choir can become their family - and many boys stay in touch with each other throughout their lives. Some have gone on to be school music teachers, where others have become successful businessmen. All Saints is the type of place where a 90 year old man can speak to a 2nd grade boy and say "I remember singing in the choir when I was your age". This happens regularly, and those relationships cannot be replicated many other places! Most boys come to the choir with little or no musical experience at a very young age (2nd - 4th grade). All Saints Choirs are affiliated with the Royal School of Church Music (RSCM), and choristers work through a curriculum based on their "Voice for Life" program. The RSCM emphasizes music education in the church - and "Voice for Life" is a structured way for anyone to learn about music, it's context, and about life in a choir. For more information, visit the RSCM's website. 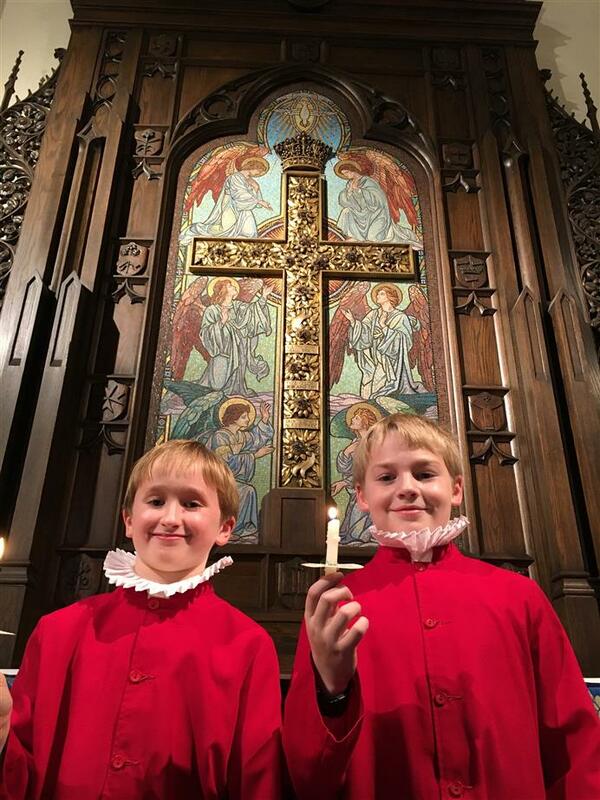 Open Houses are scheduled quarterly to allow interested boys to be a Chorister for a day, and see whether they might want to be a part of our choir. Check back often for details! You and your boys are always welcome at All Saints! Come see the choir in action during any Thursday night rehearsal or Sunday service (usually singing the 1 st & 3 rd Sundays of each month). If you'd like to sit in on a rehearsal, please contact Scott Hayes, Director of Music at shayes@allsaintsrichmond.org, or 804-288-7811. Q: Is the choir fun ? It sounds like a lot of work? A: We think the choir is fun! Much like scouting or any team sport, there is work involved, but there is also a lot of fun! The boys take regular trips to play laser tag, bowl, see a movie, or another fun activity. Rehearsals are not usually boring, and you get out of it what you put in. Q: Do boys and their families have to be members of All Saints Church to participate in the choir? A: No. The choir is open to all boys, regardless of their religious affiliation. In fact, most of the boys in the choir are not members of All Saints. Q: What happens to boys when their voices change? A: They will move from singing treble to one of the other parts in the choir. Some boys enjoy singing countertenor (or alto) for a time, while others prefer to move to one of the lower parts. Q: Is there a formal audition for the choir? A: Most often, boys come to the choir through one of the "Open Houses". At these events, prospective boys can sing as a member of the choir. Usually, this is a good indicator of how the boys will do in the choir - whether they are attentive to detail, willing to try the occasional "silly" idea, can they match pitch. If a boy can't attend an open house, then we'll schedule a short "musical interview", where he can demonstrate his voice by singing a well-known song (such as the National Anthem) and talk with the director. Q: How much does the choir cost? A: The Choir does not charge for participation. Families are asked to make a donation to All Saints Music Education Fund, if they are able, and so inclined, as the choir does cost the church significantly to operate. Q: Are the boys paid for singing? 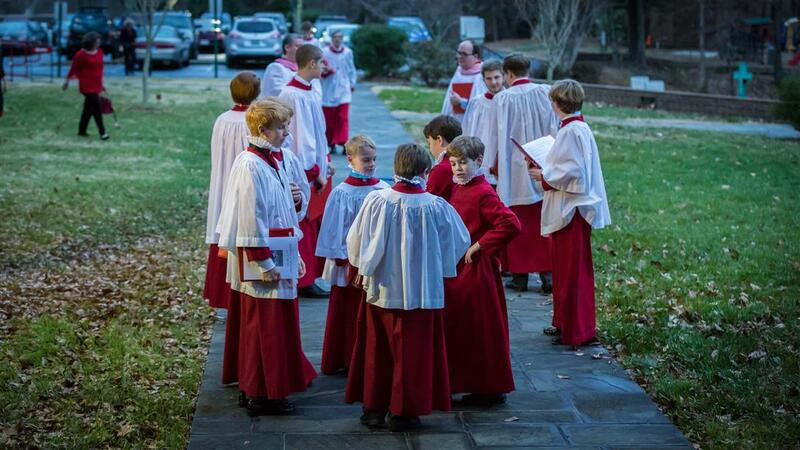 A: Yes, the boys and teens are paid for their singing, as is the custom in many choirs of the Episcopal Church. It signals to children, adult, and church leaders the significance of the contribution that the choristers make to our common life. Stipends are determined by the boy's "rank" in the RSCM Voice for Life program. Q: How many boys are in the choir? A: As of August 2018, we have about 15 boys in the choir. As we are in a season of rebuilding (a full choir would be about 20 boys), to help the choir maintain a high musical standard, two female "Choral Scholars" sing with the boys regularly to ensure musical balance. "I like to sing with boys my age and with others who love singing as much as I do. Scott makes singing in a church choir fun!" "As new All Saint's visitors and boys choir parents, Jay and I feel welcome and at home at All Saints. The connection with Scott Hayes and the rest of the choir members and parents has been full of great fellowship. Our son, Grant, LOVES boys choir, and we are so blessed to be a part of God's plan at All Saints!" "I have always loved the ASC Men and Boys choir, especially after 21 boys sang at our wedding in 2002. Once West became eligible to join, I knew I wanted to learn and share with him the joy of singing in the choir. We both look forward to rehearsals and Sundays, as well as the special events Mr. Hayes has put together." The choir is really two choirs in one, the Boys who sing the treble (or soprano) line of the choir, and the Gentlemen of the Choir who sing Alto, Tenor, and Bass parts. As such, there are two different rehearsal schedules, and occasionally, they operate and sing as two separate choirs. Several of the men also sing in our Parish Choir, which rehearses immediately following the Men's weekly rehearsal. Treble boys are expected to be in rehearsal 2 hours each week, and sing in services or other events about three times a month (1st & 3rd Sundays, plus one other event). An annual highlight is the Christmas Festival of Lessons and Carols, which requires many extra hours of preparation. Tuesdays, 4:30 - 5:30 PM; Wednesdays, 5:30 - 6:30 PM; Thursdays, 5:30 - 7:30 PM (includes musical skills class beginning at 5:30 PM). Boys should attend at least 2 hours each week (day does not matter . . .though Thursdays are our largest crowd). For the Boy's full Fall schedule, click here. For the Men's full Fall schedule, click here. All are welcome to hear the choir in person on most 1st and 3rd Sundays at All Saints Church 10:30 AM worship service. Click below for a few samples from live services.